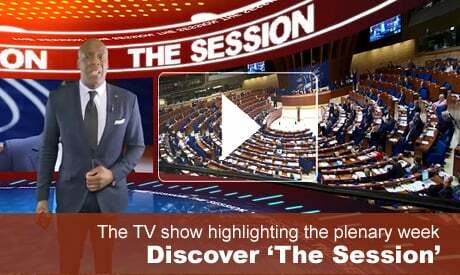 At its autumn session in Strasbourg (8-12 October 2018), the Parliamentary Assembly of the Council of Europe (PACE) discussed the strengthening of its decision-making process concerning credentials and voting. The winner of the 2018 Václav Havel Human Rights Prize was announced on Monday 8 October, from a shortlist of three nominees, and the prize awarded in a special ceremony in the plenary. PACE held a joint debate on the foreign funding of Islam in Europe and the radicalisation of migrants and diaspora communities. It discussed the access to member States by Council of Europe and United Nations human rights monitoring bodies as well as deal-making in criminal procedures. A current affairs debate was held on "Council of Europe – An organisation in crisis". Other items on the agenda included the treatment of Palestinian minors in the Israeli justice system, migration from a gender perspective, family reunification in member states and equality in private life regardless of sexual orientation. Nuclear safety and security in Europe as well as the crash of Polish Air Force Tu-154M transporting the Polish State delegation were also debated. Finally, there was a discussion on the role of national parliaments in successful decentralisation processes, with a statement by the President of the Congress of Local and Regional Authorities of the Council of Europe. The Minister for Foreign Affairs of Tunisia addressed the Assembly and answered questions, and the Deputy Prime Minister and Minister for Foreign and European Affairs of Croatia, chair of the Council of Europe's Committee of Ministers, presented the communication on its recent activities. The Organisation's Secretary General answered questions from Assembly members.